Unified storage is the ability to provide a single platform on which multiple use-cases can be consolidated, says Cohesity CEO, Mohit Aron. Most companies rely on three or more storage solutions to manage company data, while managing complexity of different products is a top concern for the majority of organisations. This is one of the biggest findings from a survey conducted by converged secondary storage provider Cohesity. The survey was conducted over the course of a week in July 2015 as an online survey that was sent to various IT professionals, ranging from mid-level system administrators to top IT executives. According to Cohesity, the results of the survey underscore the urgent need for a unified storage solution that provides a clear view of data type, access, usage, copies and other important metrics for company data. For example, only 28% of respondents state they have a good understanding of which users are accessing company data, while 60% say they don't have good information about how many copies of data exist. At the same time, nearly half of respondents note that data has grown more than 50% in just the past year, which translates to doubling the amount of storage needed every two years or less, says Cohesity. The exponential growth in storage requirements paired with the lack of insight into basic copy data metrics show how important it will be for many companies to adopt better data management solutions soon, it adds. "This survey highlights an alarming trend for many companies in which data continues to grow across multiple storage solutions while basic metrics like the number of data copies being stored become more difficult to access," says Cohesity CEO, Mohit Aron. "These businesses need a single, highly scalable storage solution that addresses these issues head-on by reducing complexity and providing better visibility into their data." Aron points out while data growth is driven by many causes, including policies and procedures, one of the leading causes the survey uncovered is multiple copies of data existing within an organisation's IT infrastructure. This can be due to many factors, including silo IT architectures for different use-cases, for example data protection, test and development, and analytics, each of which requires its own copy of data; multiple versions of the same data existing without reconciliation for redundant data duplication; and multiple solutions to serve various copies of data, he notes. "In fact, a majority of survey respondents responded that they currently have at least three storage solutions handling their organisation's data." He explains that unified storage is the ability to provide a single platform on which multiple use-cases can be consolidated, without the need for any additional silos of infrastructure. 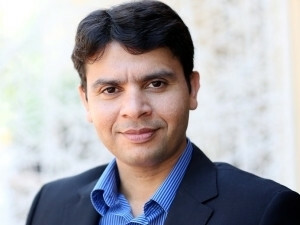 With unified storage, organisations can consolidate workflows like data protection, recovery, test and development, analytics, as well as other custom applications onto the same platform, significantly reducing complexity and cost while eliminating multiple copies of data across the organisation, Aron says. "While unified storage has previously yielded great success in primary applications with clustered, distributed storage solutions for applications like ERPs and CRMs, the secondary storage space has really lacked innovation in this department." Traditionally, IT has been thought of as a cost-centre, where organisations are forced to spend money managing and protecting data based on policies, regulations, as well as other organisational and procedural requirements, Aron says. "Modern enterprise IT is really about turning raw data into information, enabling organisations to make more informed decisions based on the information that they have collected. We have seen evidence of an emphasis on analytics with the increasing adoption of data analytics solutions like Hadoop." For organisations to remain competitive, Aron notes, it's necessary to harness the power of the data they've collected and use this information to guide decision-making, organisational investments, and strategy.